It’s TOMORROW! CONvergence is as IMMINENT as it gets! Here’s the last batch of art I’ve done for badges for the Guests of Honor of CONvergence 2011. We had a three-pack of guests from the indie horror film The Dead Matter. 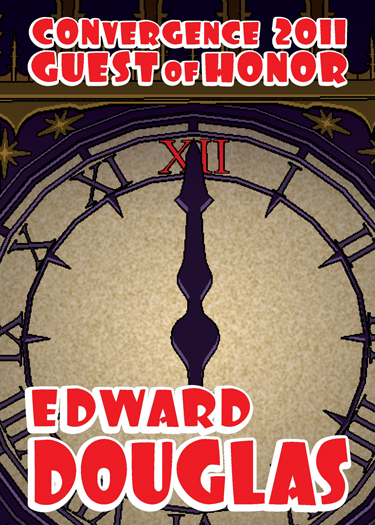 Composer/filmmaker Edward Douglas of the Midnight Syndicate is the film’s director. 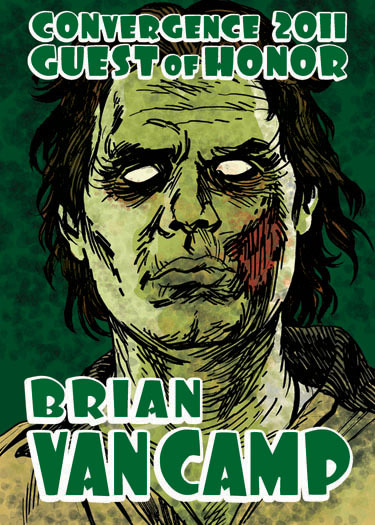 Actor Brian Van Camp was in the film and sported a zombie look not entirely dissimilar from this badge art. 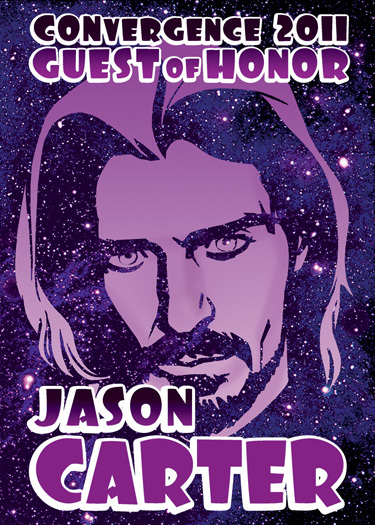 The film also features actor Jason Carter, best known to many sci-fi fans from his role as Ranger Marcus Cole on Babylon 5. 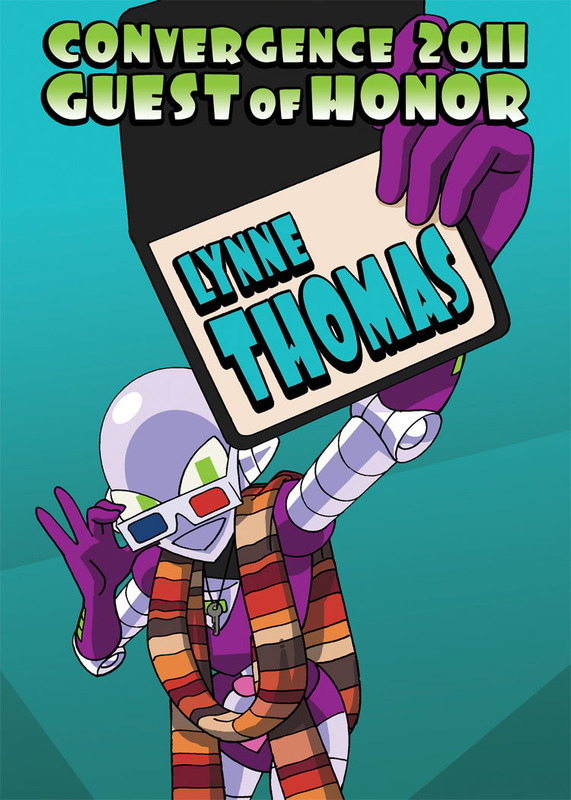 Author/Editor/Librarian Lynne Thomas came to CONvergence fresh off the success of her Chicks Dig Time Lords anthology. I knew Lynne personally and asked her if she had any special requests for badge art. She said she wanted the cover of her book with Connie. Done! 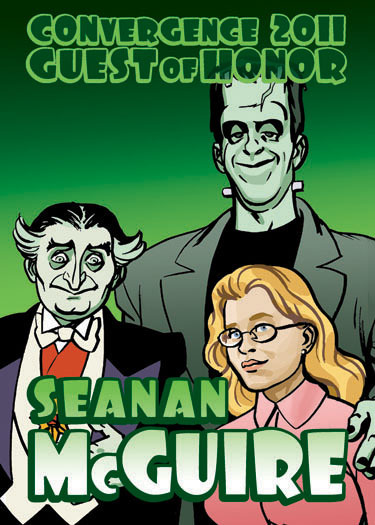 Author Seanan McGuire is a Munsters fan and made the mistake of mentioning publicly that she identified with Marilyn Munster. Clearly she paid for her mistake. 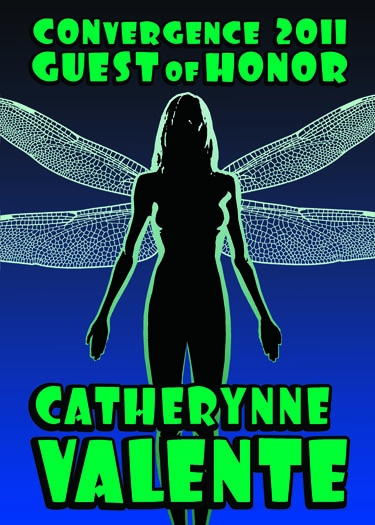 I was at a bit of a loss for what to do for author and poet Catherynne Valente, and ended up referencing the fairytale element of her work very literally. 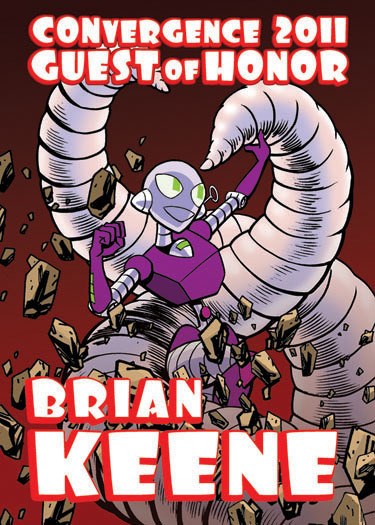 This was my third Guest of Honor badge for Brian Keene, and after having reference his zombie stories and his comics work, I decided to go with his Conqueror Worms material, and had CoLynnie fighting giant earthworms. Lovely. 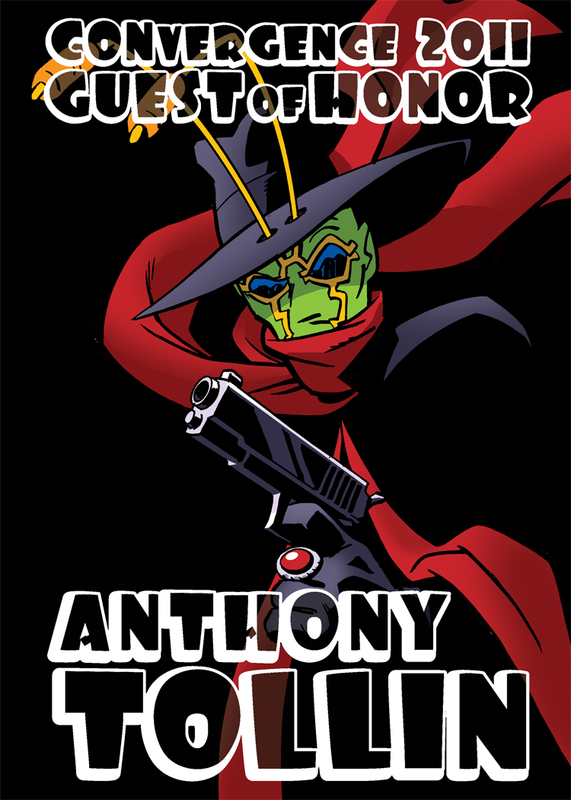 The first badge I had an idea for this year was Anthony Tollin’s. Anthony is a historian of The Shadow and other pulp heroes, and is publishing deluxe reprints of The Shadow and Doc Savage pulp novels. I first knew of Tony for his work as a colorist, specifically his work as colorist of Keith Giffen’s Ambush Bug series for DC Comics. Mash up! There you go. And finally we had another returning Guest of Honor with Greg Weisman, who I was working with on the comic book version of Young Justice, based on the animated TV series for which is is head-writer and producer. 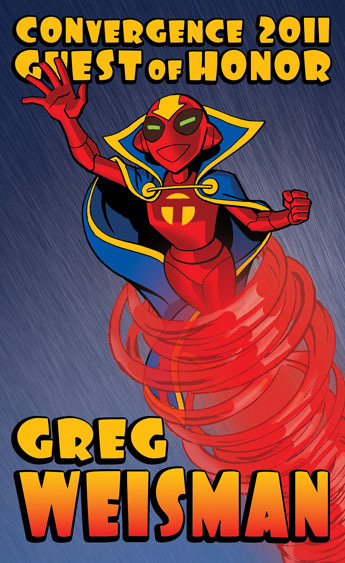 Red Tornado is featured in Young Justice, a character Greg has a history with, so Connie got the Red Tornado treatment. That’s it! We’re all caught up! I’ll be scheduling a post for tomorrow with the 2012 Guest of Honor badges, but otherwise I’m off to CONvergence! Watch for all the CONvergence-related tweets at #CVG2012. I hope to see many of you there! Look me up at one of my signings or panels!